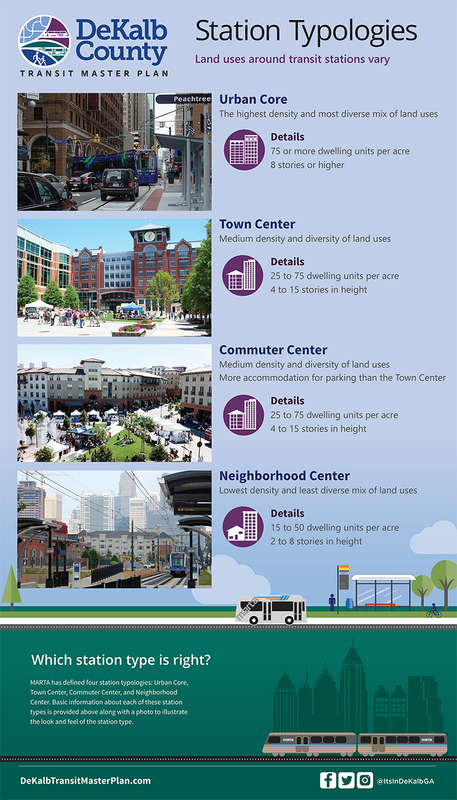 Did you miss our February Open Houses? 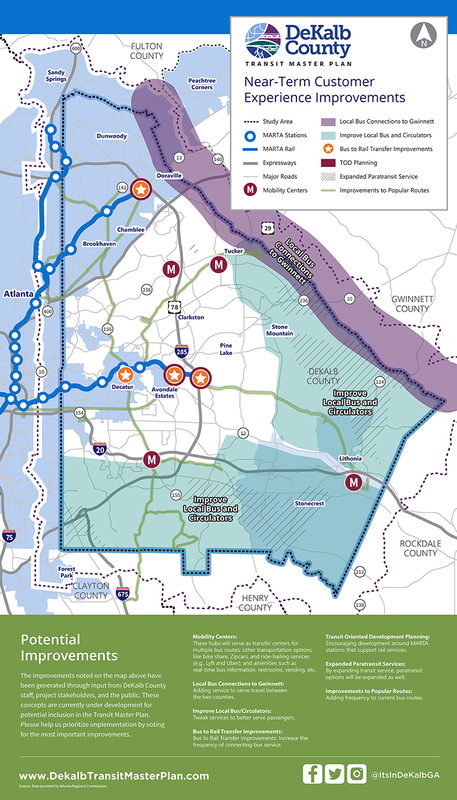 In February, we hosted our second round of open houses which focused on getting feedback from the public on needed transit improvements. 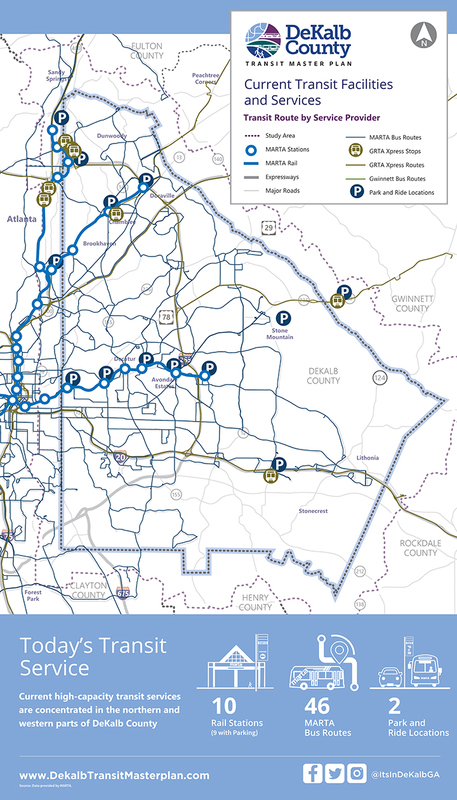 The public was invited to vote on which near-term transit improvements were most needed as well as draw their own transit routes to see how they would work. 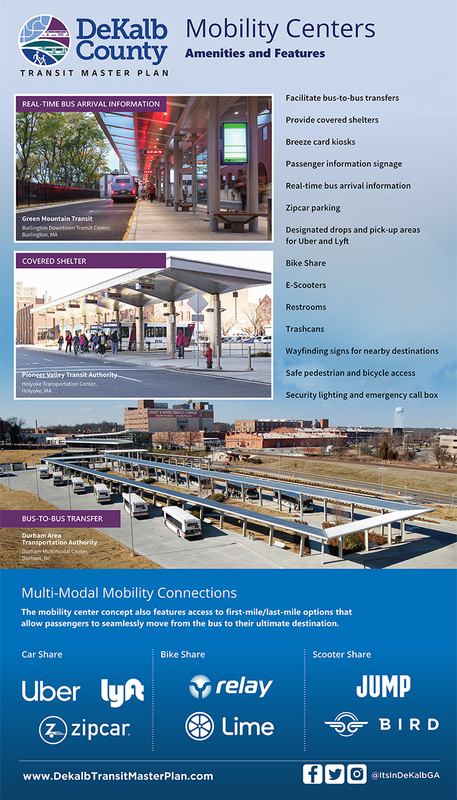 The boards that we displayed at the meeting can be found here. 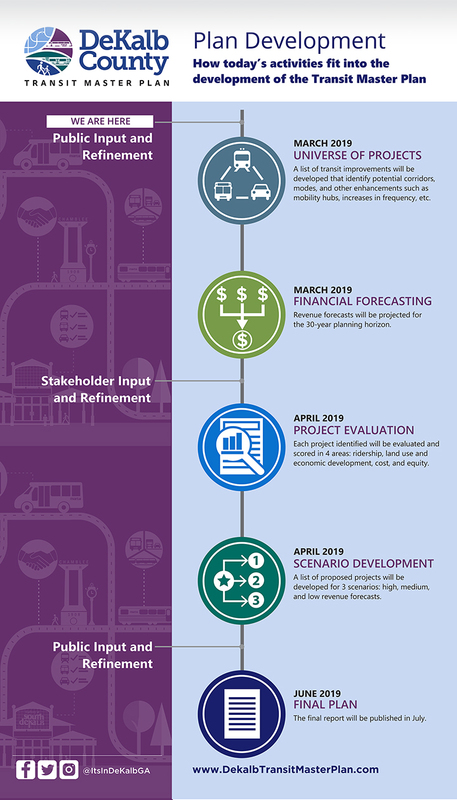 Please review the materials below and then send us your thoughts. 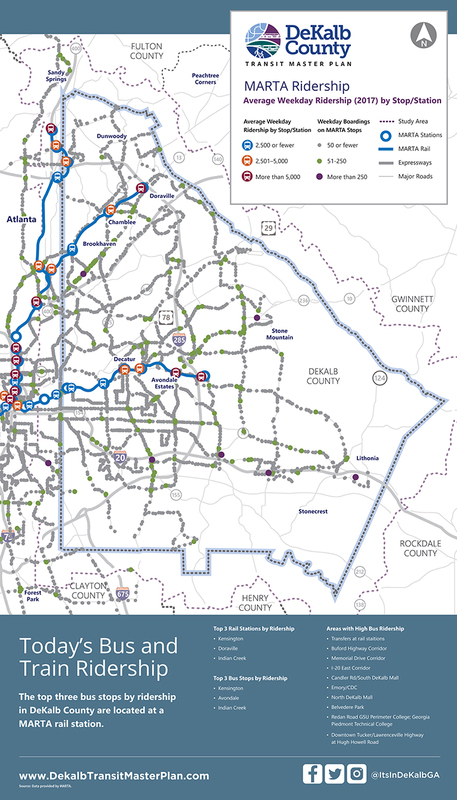 Below you can find the materials that we displayed at our public open houses in October 2018. 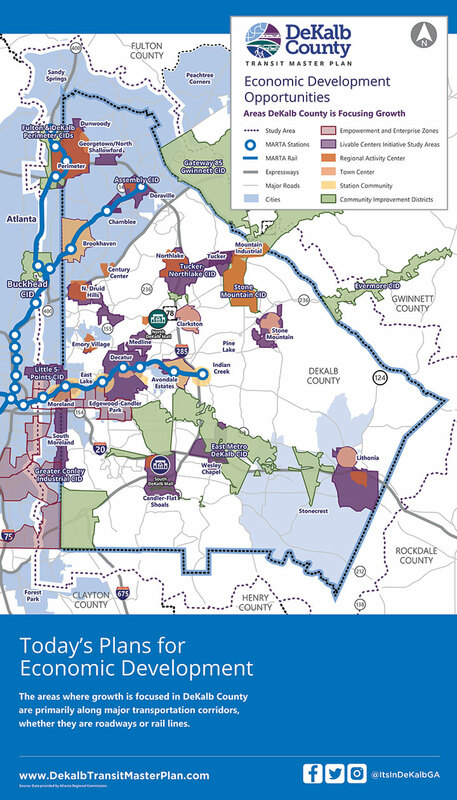 Residents of DeKalb County commute to jobs in employment centers located throughout the Atlanta Region. 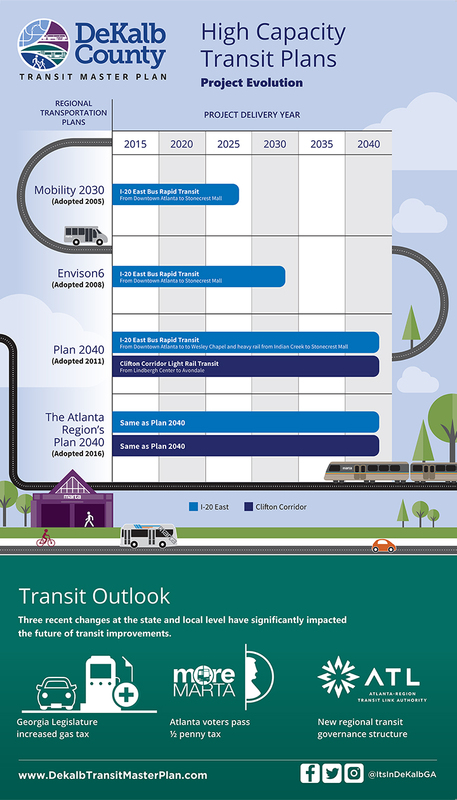 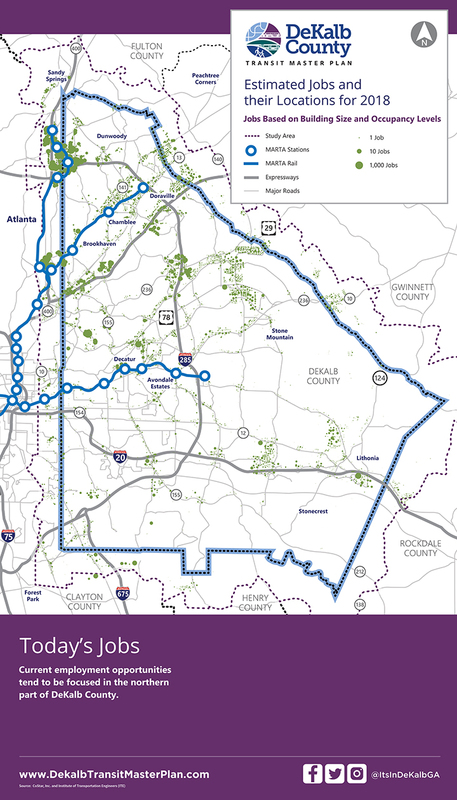 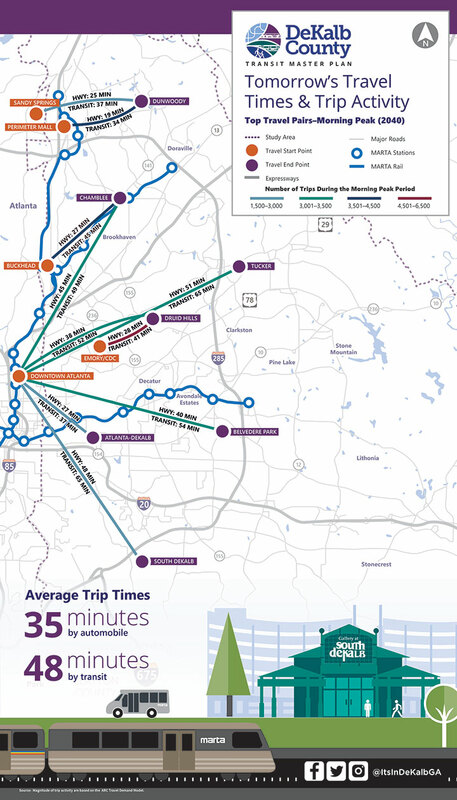 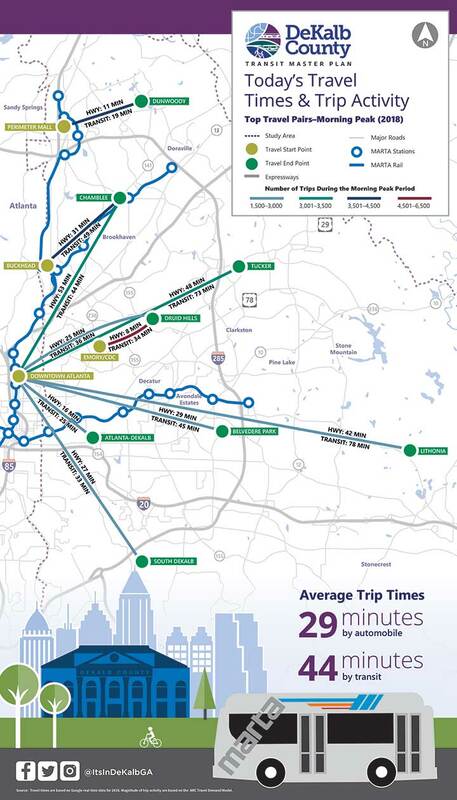 Understanding travel patterns is critical to develop, evaluate, and ultimately recommend transit alternatives that meet the needs of DeKalb County citizens, businesses, and visitors. 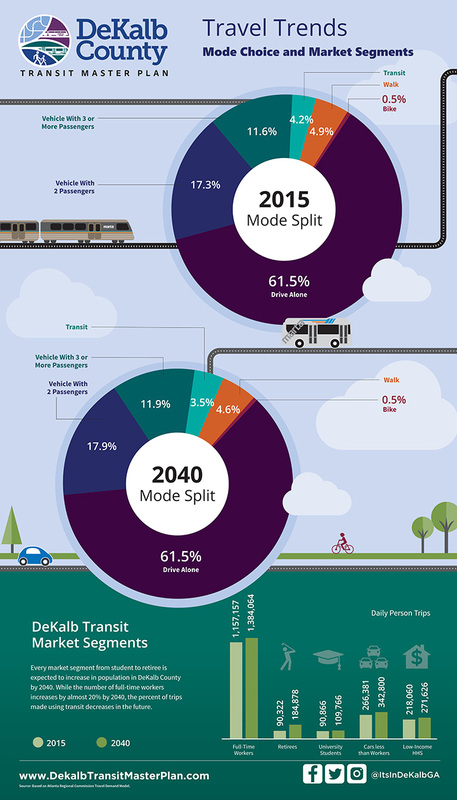 Currently, only 8% of commuters in DeKalb County are using transit to get to work. 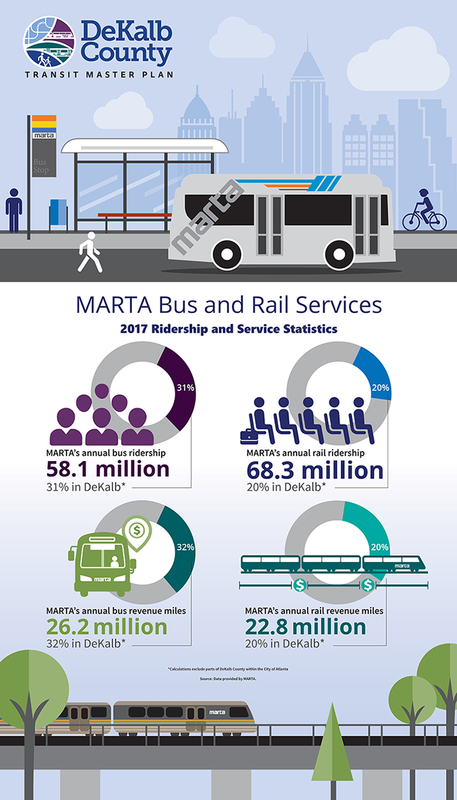 The pie charts below show where people who live in South and North DeKalb County travel to for work. 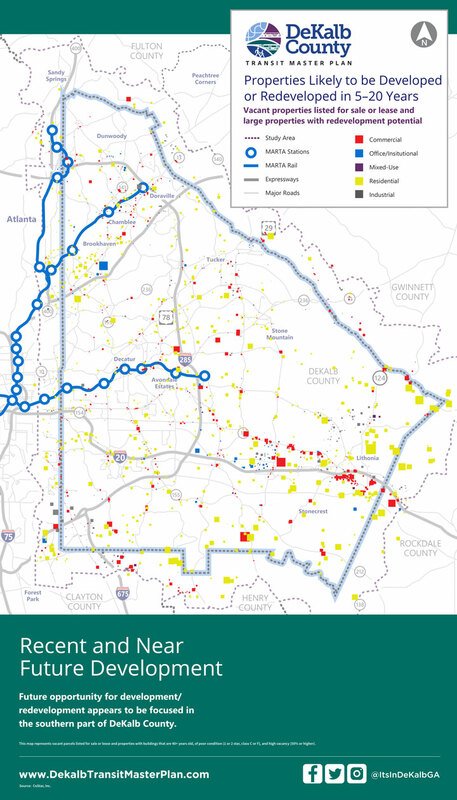 Both charts show strong travel patterns to the City of Atlanta and between North and South DeKalb County.